Well, it’s true. I can tolerate it but it’s just not my favorite flavor, I would take vanilla and chocolate any day over pumpkin! Sadly, I’m pretty much alone on this one because everyone else in the world seems to go head over heels for that giant orange squash! 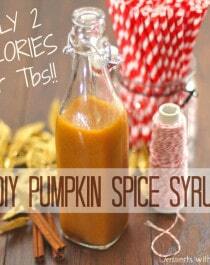 Despite my aversion to pumpkin, I fell in love with this Healthy Butterscotch Pumpkin Spice Syrup! I figured out a way for me to tolerate pumpkin: add some spices and other complimenting flavors! In this recipe I added both pumpkin pie spice and cinnamon, but I also added butterscotch flavor. Butterscotch is so warming, comforting, creamy and rich, it not only rounds out the overall flavor, it masks the “veggieness” of the pumpkin. Oh, and it’s only 2 calories a tablespoon. HELLLL to the YEAH!! I’ll take the whole bottle, thank you! 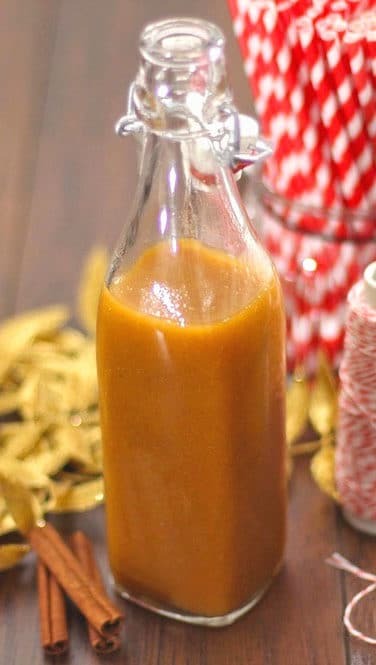 This Healthy Butterscotch Pumpkin Spice Syrup is so delicious you'd never know it's fat free, sugar free, and low carb, with just 2 calories per tablespoon! 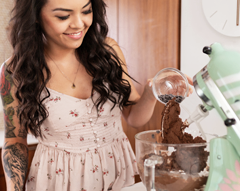 Add all of the ingredients to a blender and puree until smooth and even. Give it a taste and add more stevia/spices if you like. Pour into serving bottles and refrigerate to store. 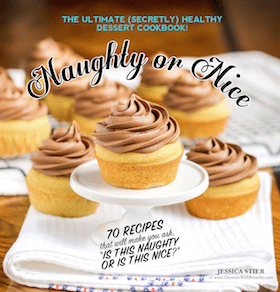 Yes, 80 calories versus 5 calories for the same serving size!! And if you’re like me, you use wayyy more than 2 tbs for whatever you’re using syrup for, so this is a huge calorie saver. Not only are you saving calories, you are saving yourself from a bunch of high-glycemic, non-nutritious sugar. 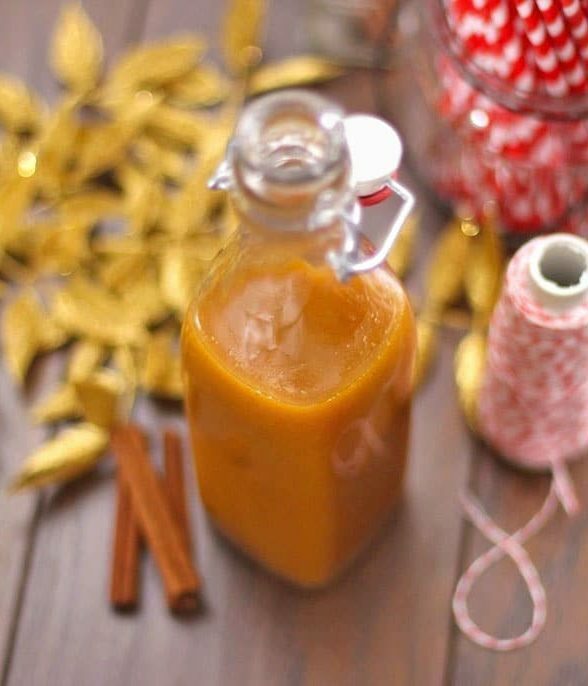 This Healthy Butterscotch Pumpkin Spice Syrup is smooth and syrupy goodness. 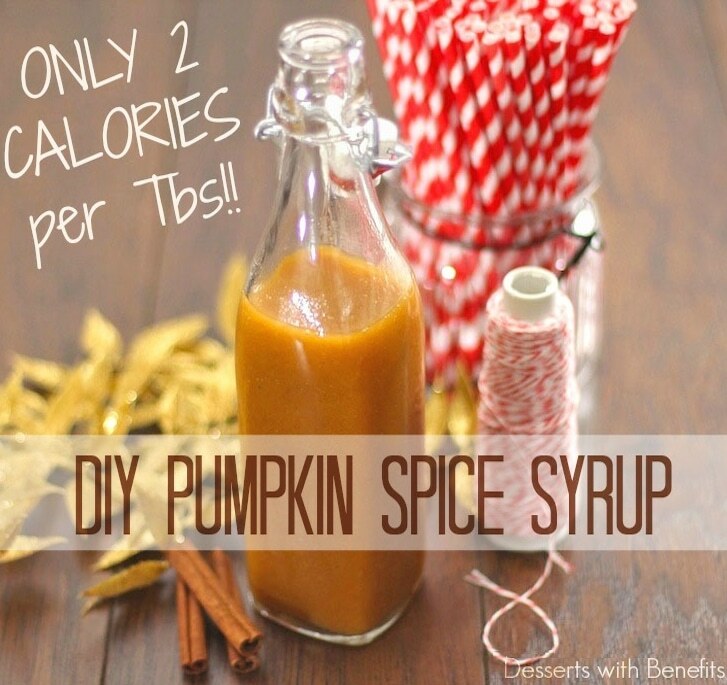 I am not a fan of pumpkin either…….but with butterscotch flavor, I might just give this a try!!! Is this recipe possible without it? hmmm…i made this, and it SEEMED to last for weeks in the fridge, but i threw it out last week JUST in case….because pumpkin goes bad in the fridge after about 5 days! I think the Cinnamon Roll Syrup lasts longer since it’s made with applesauce. I’m making this tomorrow, so excited! 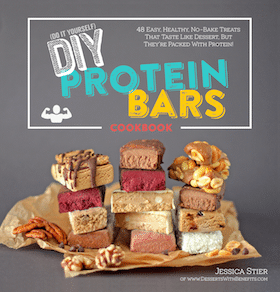 I just found your page in a search for low-cal nut butters, and now I’m totally hooked. Congratulations on this website and pursuing your degree. You, young lady, are going places! And thank you so much, I can’t wait to graduate and get the chance to focus on my career!